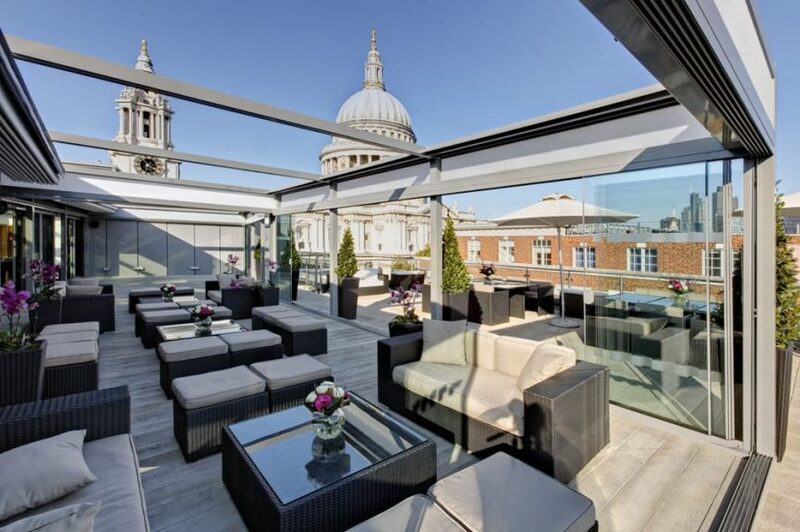 Situated on Grange St. Paul’s Hotel’s private roof terrace, the penthouse-level Sky Bar is an exclusive events venue in central London. 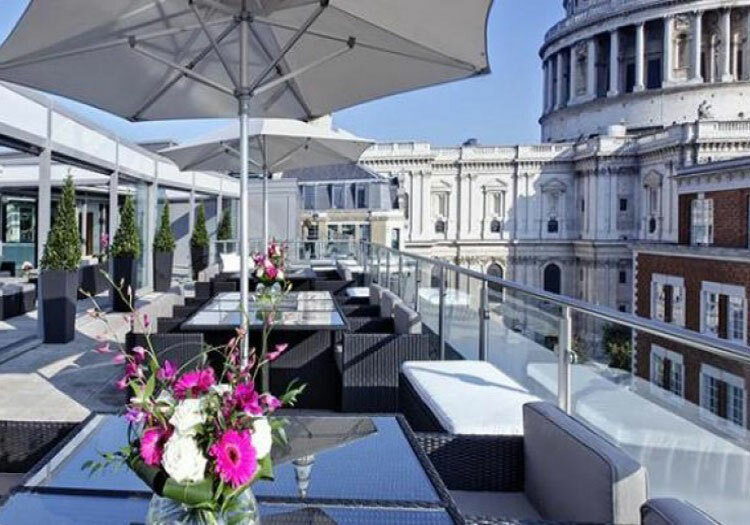 Offering incredible views of London’s city skyline and neighbouring St Paul’s Cathedral, the space features comfortable seating, and a spacious bar and conservatory area, with capacity for up to 200 delegates. 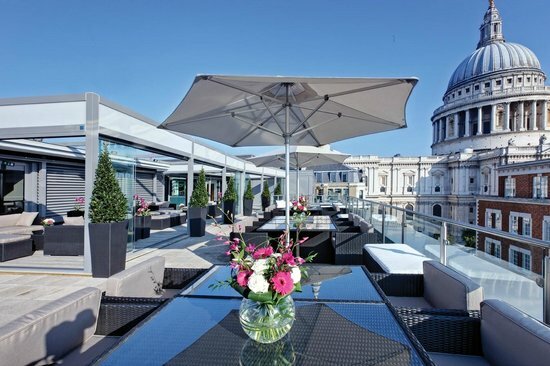 Tables and parasols can also be set up, and kitchen and butler facilities can be arranged if required. 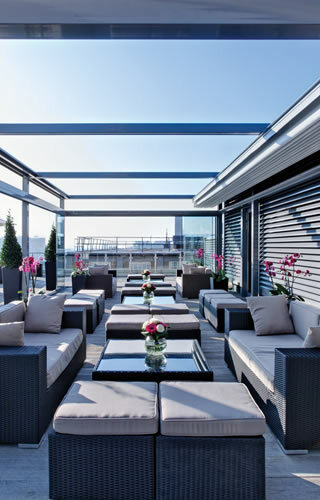 The space can be hired together with the adjoining Royal Suite for larger events and an extra touch of luxury. 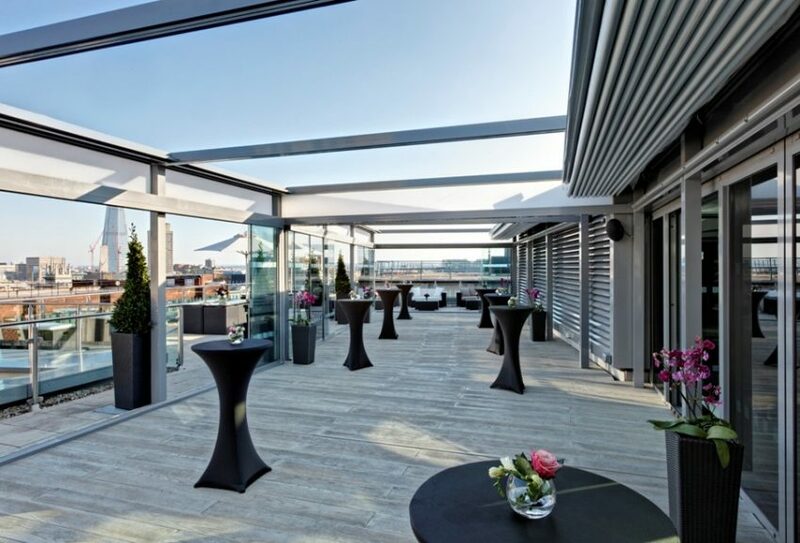 Featuring a portable PA system and ambient LED lights, the Sky Bar is ideal for hosting exhibitions, summer events, drinks receptions, BBQs and networking events.